Can you believe it? This year will be over before we know it! We're taking a look back at the most beloved Hungry Girl recipes from 2018. Today, it’s all about the savory meals that kept us satisfied this year… Stay tuned for the most popular desserts from 2018, coming soon to a Hungry Girl daily email! Having a great chili recipe in your back pocket is essential, especially during the colder months of the year. When it's too chilly to get excited about salad, trick yourself into eating a bunch of veggies by slow-simmering them in a pot of yummy goodness! 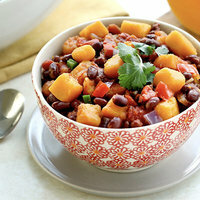 w88 pokerThis meatless chili is out-of-this-world delicious. More sneaky tactics here: We took a classic stir-fry concept and eliminated the stirring and frying! 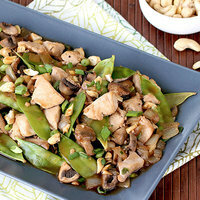 This recipe is MUCH lower in calories than the conventional Chinese takeout version. Easy, healthy, delicious… What's not to love? We adore you, potatoes, but you've been replaced in this recipe. A show-stopping side dish doesn't need to be a high-calorie affair. (A High-Calorie Affair, premiering this spring on Lifetime… KIDDING!) This recipe is easier to make than you might think. There’s even a visual guide to help you! Are you ready for a meal that tastes like a PARTY? 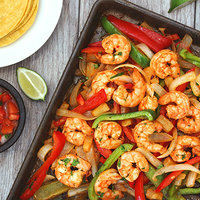 These tropical seafood fajitas will have you thinking about warm weather, even with winter around the bend. Bonus: Only seven ingredients TOTAL, and they’re ready in 35 minutes! 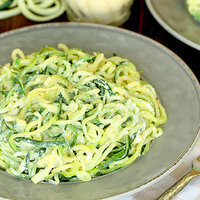 This dish might be one of the most decadent (yet deceptively healthy!) ways to enjoy cauliflower. It's creamy, it's cheesy, it’s buttery & garlicky… and it's only 20 minutes away! Want a shortcut? 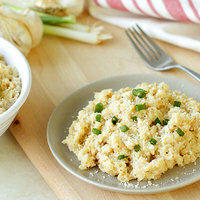 Buy pre-riced cauliflower! Find it in the fridge or freezer section. 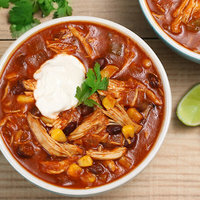 What does our enchilada soup have that others don't? It's got pumpkin stealthily mixed in, making it thicker and more nutritious. And it's low in calories and fat, so you can go ahead and treat yourself to a double portion if you like! 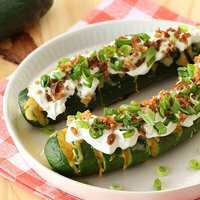 Zucchini does it again! This recipe may be our best pasta Alfredo ever… Can you believe it only takes 15 minutes to make?! Hungry Girl tip: Top it off with some cooked chicken or shrimp, and you’ve got yourself one heck of a meal. Yum, yum, YUM! Last but not least, this slow-cooked creation is probably our most versatile recipe of the year. Set it and forget it, and then check out our FIVE different ways to serve it! 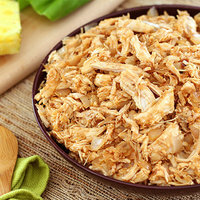 Slow-cooker shredded chicken never goes out of style… In fact, this year’s Slow-Cooker Shredded Orange Sesame Chicken also ranked high in popularity! Make sure your pals have all the best recipes! Click "Send to a Friend" now.